View More In Bread & Loaf Pans. Love to bake bread? 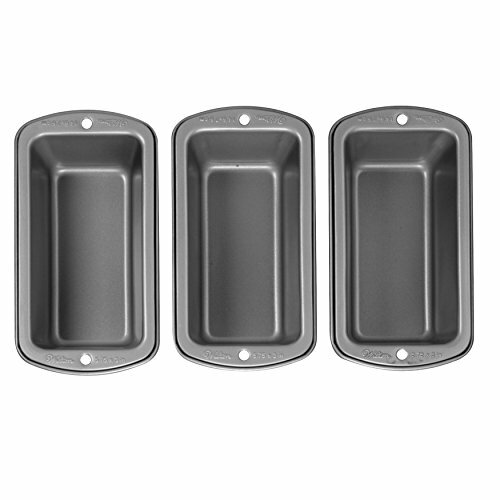 This convenient set of three mini loaf pans maximizes your oven space and minimizes baking time. Constructed from heavy-gauge steel for even heating that gives a perfectly browned finish to your baked goods, the pans' wide handles are suitable for gripping with oven mitts. Great for pound cakes, cornbread or homemade breads. If you have any questions about this product by Wilton, contact us by completing and submitting the form below. If you are looking for a specif part number, please include it with your message.